Keep clicking Next through all the windows of the installer until it has finished installing. Then click Finish to close the installer. 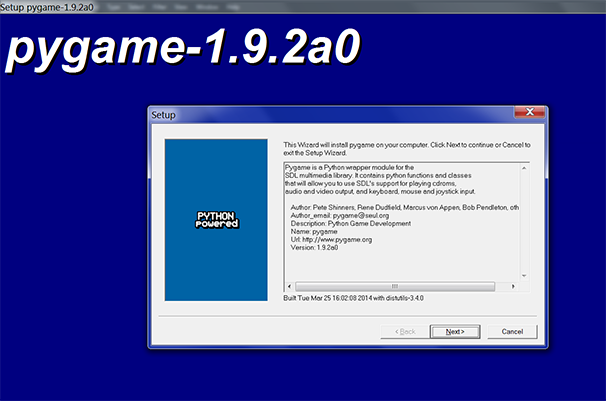 Pygame is now installed. You should be able to run import pygame from the interactive shell without generating any error messages.